Sold Out- Please checkout our other similar models. 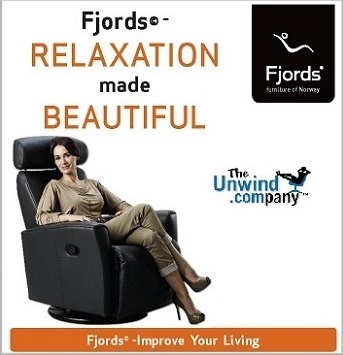 Save $100s off of the regular pricing instantly on a brand-new, Fjords Swing Relaxer when you shop at Unwind. These are some of the most popular Norwegian Recliner Chairs available. They are stylish, built-to-last, and incredibly comfortable. We not only guarantee the lowest prices on all Fjords Furniture allowed by the manufacturer but also provide Free Nationwide Shipping and Delivery. This isn’t a sale or promotion. This is our dedication to bringing you exactly what you need to relax and unwind. All Fjords Swing Relaxer Recliner Chair models and options are eligible. This includes both sizes and all leather options for the Oslo, Ulstein, Madrid, Atlantis, Stockholm, Alfa, City and London series models. Select the Fjords Swing Relaxer Model and Size that fits you best. Choose your preferred fabric or leather type and color by selecting from the small color swatches underneath the desired category. Follow the on-screen instructions and you’ll be relaxing in your new Fjords Relaxer in a flash. Save the most time and money with our Nationwide, Fully-Assembled, Free Shipping options. The London Swing Relaxer is a traditional design. It features an adjustable headrest which adds to the "Executive Feel". 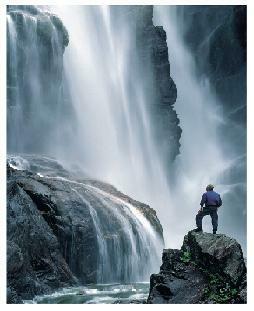 It features all of the same comfort technologies as other Fjords Recliners and Relaxers. It is shown in a beautiful Soft Line Grey. While the item is not currently stocked for immediate shipping, you can custom order this item at no additional cost. This lets you bring out the Interior Designer from within. Product Measurements: W: 35.75" H: 42.5" D:33.5" SH: 18.75" SD: 22.25"
The Hjellegjerde brothers have been designing and creating furniture for over 70 years. They began as a humble family business and have grown into an exceptional name in furniture worldwide. Their ingenuitive ideas, commitment to excellence and personal pride in their work have brought the bliss of Norway to 5 continents. They have always used their surroundings in Norway to encourage and influence their designs in furniture. They strive to be on the forward side of innovation while still nodding to the successes of tradition. From the top of an adjustable headrest to the smallest seam in a supportive ottoman, the brothers' hard work and dedication is evident. With a strong and well-designed focus on Lower back support, there isn't a more comfortable recliner available. The two sizes for most models allow for each person to find the perfect fit. The Manual Swing Relaxers feature a 360º rotation. The Electric Versions feature a 170º rotational ability. Looking for a model that does not swivel at all? All Swing Relaxer models can be special ordered without the ability to swivel. These items will still feature the reclining and gliding motion. Sit comfortably for many years knowing you are covered by a fantastic warranty directly from the Manufacturer. This 10 year Warranty is included for every Fjords product and is active the moment you purchase your chair. All Steel components are covered for a 10 year period. The Foam, Wood and Plastic pieces are completely covered for 5 years and all components unique to the Relaxers are covered for 3 years. It makes sense to buy your London Swing Relaxer from Unwind to get the best prices, Free Shipping, Free Delivery and have a Manufacturer's warranty provided at no additional cost. Choose one of our readily stocked items for faster delivery times or customize your seat to your unique tastes with an array of leather and wood stain options. “A genuine sense of well-being through individual choices…” Check out our Free-Shipping options on this model- like our quick and easy, Front Door Delivery!